Never leave home without everything you need. Take all your essentials in and out all at once. There's no more need for a dedicated nursing bag. Use whatever bag or tote you're in the mood to use that day! Or carry this handy organizer on its own. Easily holds your scope, sphyg, diagnostic instruments, etc., plus ID cards, wallet, pens, phone, mp3 player, cosmetics, and all the rest of your personal items. There's even room for your 7" tablet or iPad mini in one of the two padded zippered pockets. Buy one for work and one for play. 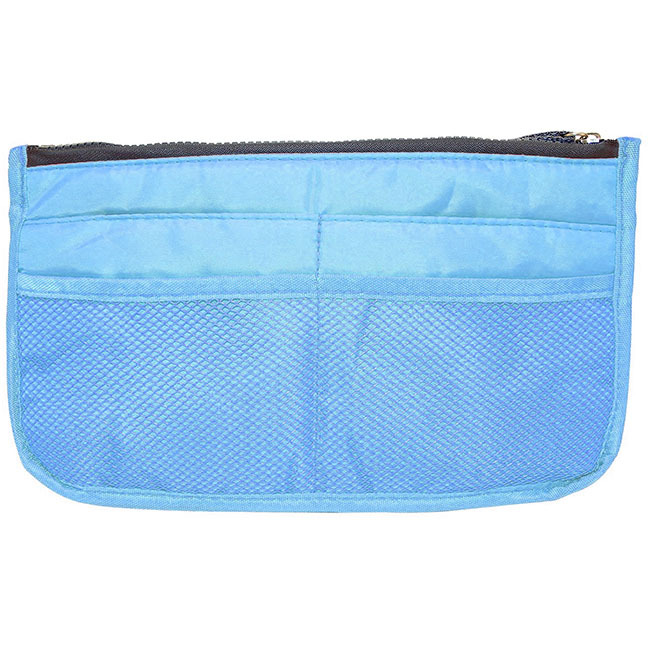 Makes a great overnight cosmetic bag for travelling too. Use it in your carry-on or in your suitcase. These are even great for school supplies.